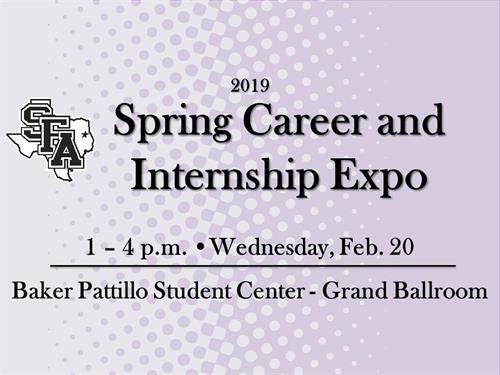 Come see why so many recruiters return each semester to be a part of the SFA Career Expo experience! The Career & Internship Expo is open to all majors representing our six colleges: Liberal and Applied Arts, Business, Education, Fine Arts, Forestry and Agriculture and Sciences and Mathematics. Over 250 students and alumni are expected to attend this exciting event in search of job and internship opportunities. Register today and let SFA help fulfill your recruiting needs. Early-Bird price of $270 before January 31. Standard price of $285 after January 31.